The old truth about the customer being king has never been more relevant, nor has their power to influence brands been greater. People – whether you call them customers, consumers, clients or users – have come to expect authentic, genuinely personalised experiences from the brands they choose to interact with. Nothing less will do, and a failure to deliver can change the fortunes of a brand in an instant. To adapt, businesses must embrace both technology and creative thinking to create ideas, stories and experiences that form the core of an on-going dialogue. We get businesses and customers closer together. We fuse the rational, strategic ambitions of your business with the intuitive and emotional power of creative thinking. 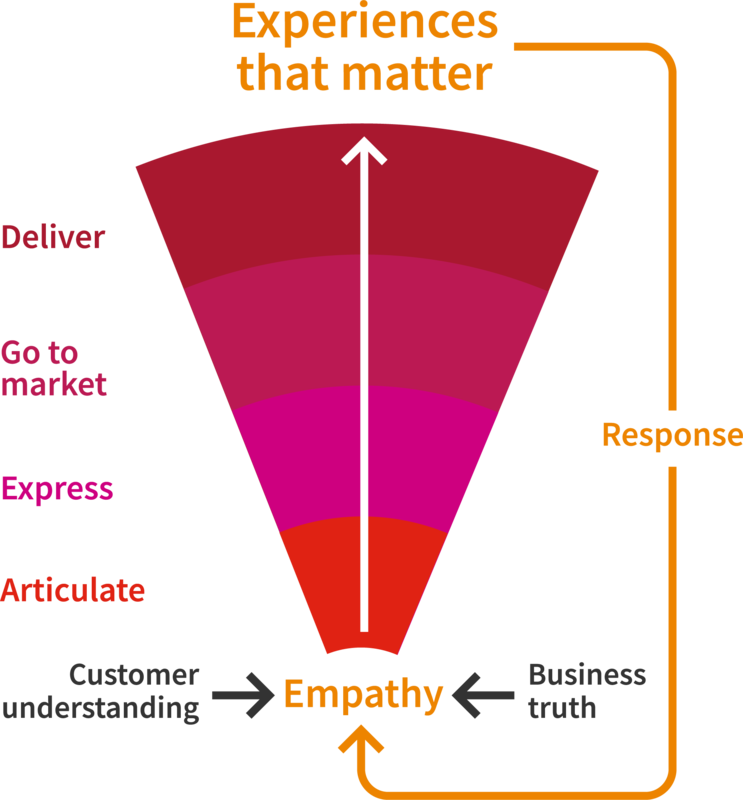 We start by locating the empathy that exists between you, your brand and your customer – the point where business aspiration and customer desire meet. Then we bridge the gap between business and go-to-market strategies, giving rise to ideas, experiences and outcomes desired by both the business and its customers. Formula does not mean formulaic. We make brands live and breathe in a rapidly changing world. We don’t confine ourselves to a business vertical, or get locked into a specialism, channel, media or technology. We blend rigorous strategic thinking with original creative thinking, applying business acumen with practical know-how. We allow the experience we have in one area to find valuable application in another. So the scale of what we do, and the output, is aligned to the desired marketing outcome. Whether you have a new business enquiry, want to work for us or collaborate with us, we’re always interested in meeting brilliant new people.